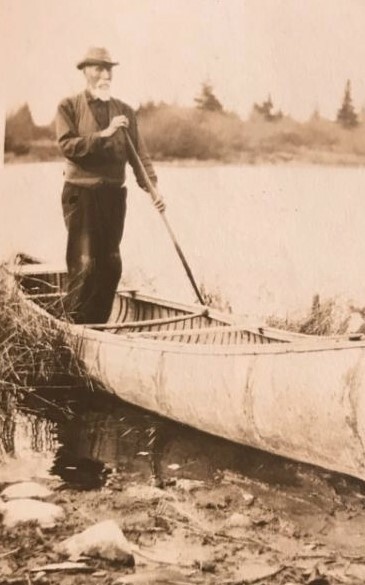 Peter Lacoot was an expert canoeist and knew the ancestral lands and waters of the Passamaquoddy Tribe. He was hired as a guide for the McNickle Family during fishing and hunting seasons. This photo was taken by the McNickle Family at their Chipneticook Lodge on the St. Croix River, the international river that separates the United States and Canada. 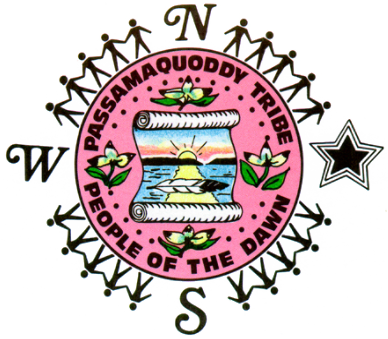 This lodge was located only 5 miles from the Passamaquoddy Tribal encampment in Calais, Maine. The family name is rendered variously as LaCote, Lacoote, Lacoute, Laconte, LeCout, LeCoot. 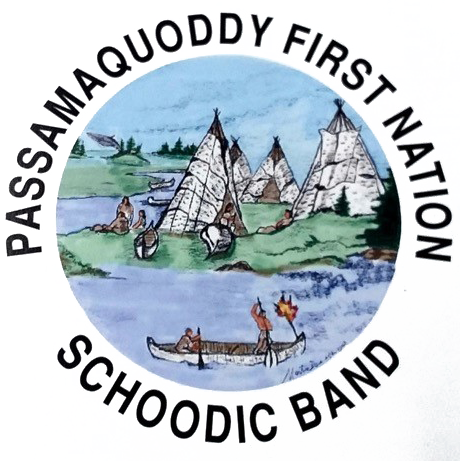 During the 1750’s John LaCoote a French nobleman had married the daughter of the Chief of the Passamaquoddy Tribe in St. Andrews, Canada. The Lacoot family note some information has been found that points to them having a presence in Charlotte County New Brunswick, Canada in the mid- to late-19th century prior to moving to Maine. The LaCoot family petitioned for the land in 1851 when they were in St. James Parish, Charlotte County. Parish records show that the French nobleman’s sons John and Peter Lacoot both had children baptized in St. Andrews in 1831 and in Milltown in 1843, 1844, 1849, and 1858. The grandson, Peter “Piel” LaCoot II born 1843 and in 1870 married to Mary Joseph had several children. He died in 1902. In 1890, while he was in Calais, Maine he was asked to sing a song about the Great War, known today as the American Revolution. In the song he remembers the story of his Passamaquoddy grandfather who was the Chief of the Tribe. "I remember, in my younger days, I never did step back before any warrior, as I do now. But I have left my best and bravest warriors behind me to die. They will be tortured by the enemy. I remember, in my younger days, I never left even one of my braves behind, as I do now. Oh! I have left some of my best warriors. I remember the days, when I was young I sing the song now I never did have to sing before. Let all the hearts of the trees, who have heard my poor weeping song, arise and help me to rescue my braves that I have left behind. Let all the tops of the trees hear my song and come to help me. Let all the roots of the trees arise and come to help me.